Andrea's World Reviews: Find the Gifts Mom Really Wants All at Best Buy. Do you ever struggle to find the perfect gift for mom? Of course your love is gift enough, and it's always the thought that counts, but if you're like me, there is no substitute for giving mom a gift that makes her face light up. Flowers are nice, but they die. Bubble bath and slippers are cool, but chances are, she has that already. So what does mom really want? Well it all depends really on what kind of mom she is. Every mom is unique, but it's fair to assume that there is a persona category(or more than one) that she falls into. 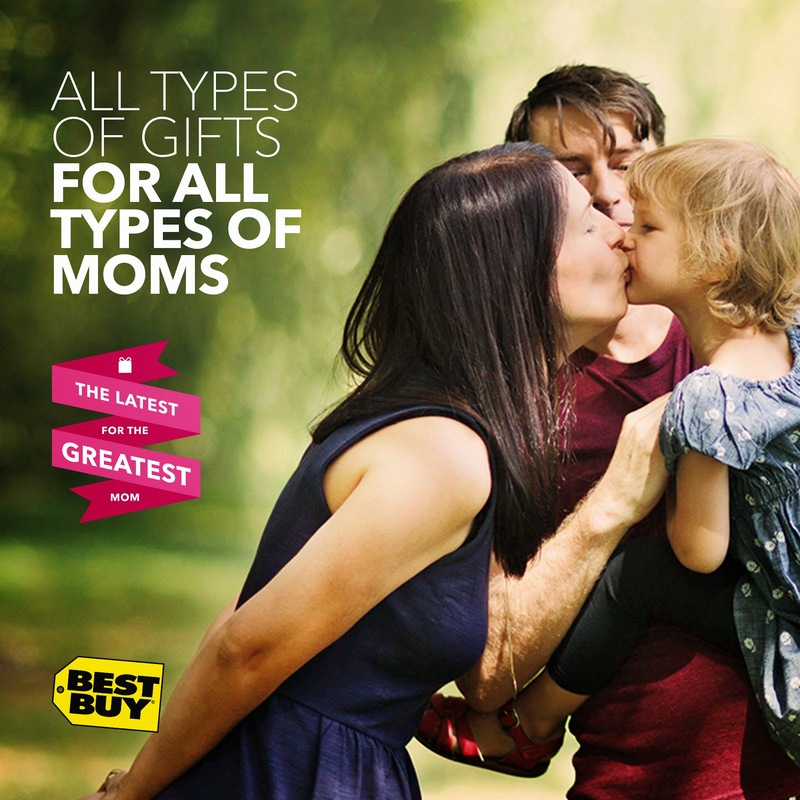 The Best Buy Gift Center has all the hottest gifts for mom, and even has a list for most any mom persona. Judging by these gift lists, I could happily be any one of these moms, but my generally personality is a cross between a Foodie Mom and an Adventurer. I love to eat, cook, create and entertain, but as a mom, I am always looking for fun adventures for our family, and looking to capture once in a lifetime moments, so I think that is more true to my passions. I can honestly say that any gift on any of these lists would be awesome, but my dream gift would have to be the Nikon D5300. After using DSLR cameras, I could never imagine not using one for special moments. I've never owned one like the D5300 though, and I know it would be incredible to have. That is a bit lofty for most people to buy for their mom though, which is why I am glad there are so many awesome options under $100 too. The Canon Selphy CP910 Wireless Compact Photo Printer for example is a really wonderful gift under $100. I am all about photos, and this would be perfect for any sentimental mom who loves photos. For the mom who wants to stay connected on any adventure, the LG Tone Pro Bluetooth Headset is perfect pricing at under $70. The Juice Pack Air Charging Case for Apple iPhone 5/5s is another great, affordable option. No matter what you are looking to buy or how much you an afford to spend, at Best Buy you will definitely find the perfect gift. Best Buy even has a Low-Price Guarantee and you can get free shipping on all orders over $35. If you are shopping for a Fitness Mom(or almost any mom really), the Misfit Shine is an excellent choice, and right now you can save 20% on Misfit Shine products. Just use coupon code MOMSHINE20 at checkout. As if all the amazing gifts and incredible savings were not enough, you could also win prizes. Best Buy is hosting two Mother's Day Twitter Parties on Friday May 2nd at 12:00pm CST and Wednesday May 7th at 7pm CST . Feel free to join one or both of these parties for a chance to receive Best Buy gift cards and other great products. 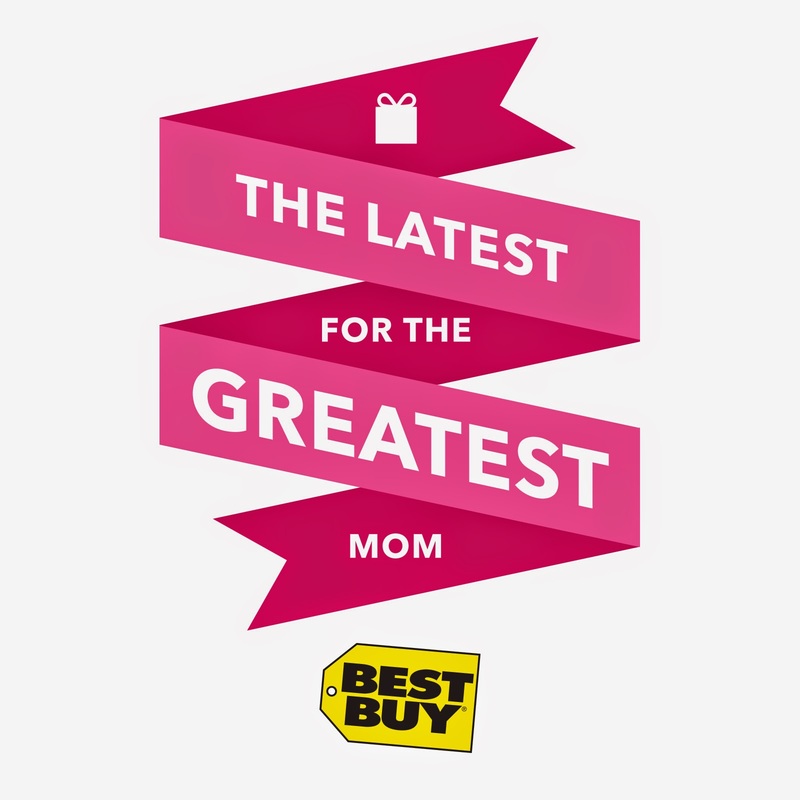 Tweet #GreatestMom with your favorite Mother's Day Gift ideas from Best Buy. I couldn't possible pass up the chance to win Best Buy Gift Cards or prizes, so I will be attending both twitter parties and I really hope to see you there. Anything Best Buy does is always a blast. Who doesn't love discussing gift ideas? Speaking of which, I would love to hear what you'd like for Mother's Day or what you plan to get the mother(s) on your list.